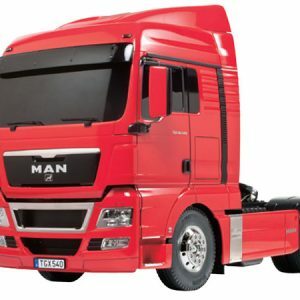 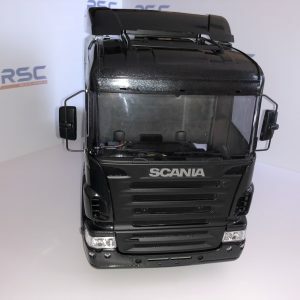 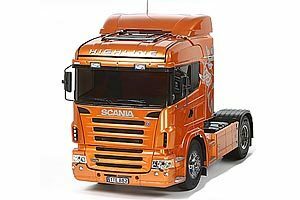 This is a special edition of Item 56325 MAN TGX 26.540 6×4 XLX. 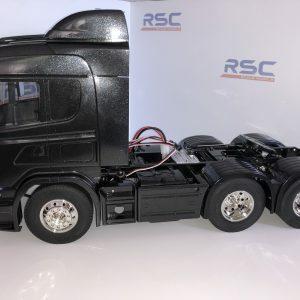 The cab, F, H, K, M and CC parts of the kit have been molded in Gray and pre-painted in Gun Metal (Tamiya Color TS-38) for a cool look, with a durable coating applied to protect the paintwork from damage. 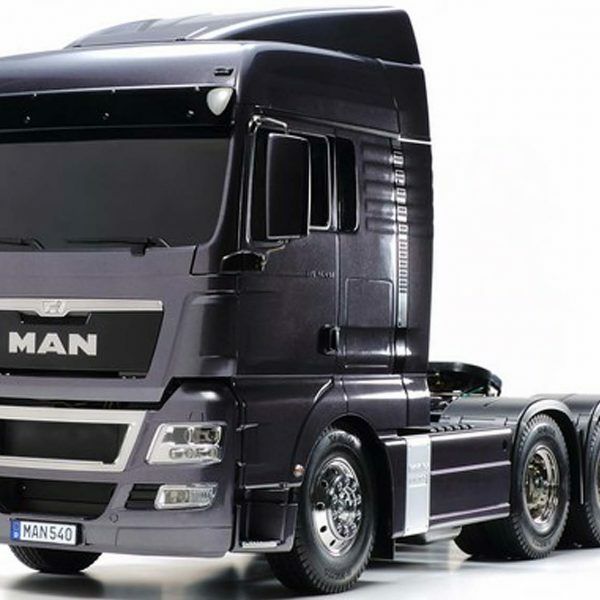 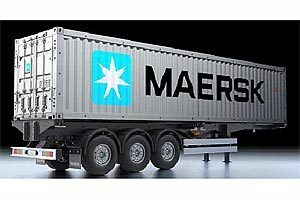 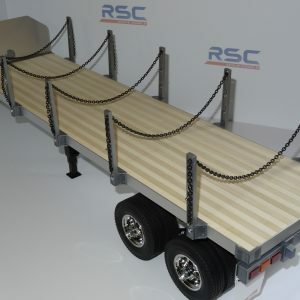 The latest addition to Tamiya’s 1/14 scale R/C Tractor Truck series is the MAN TGX 26.540 6×4 XLX. 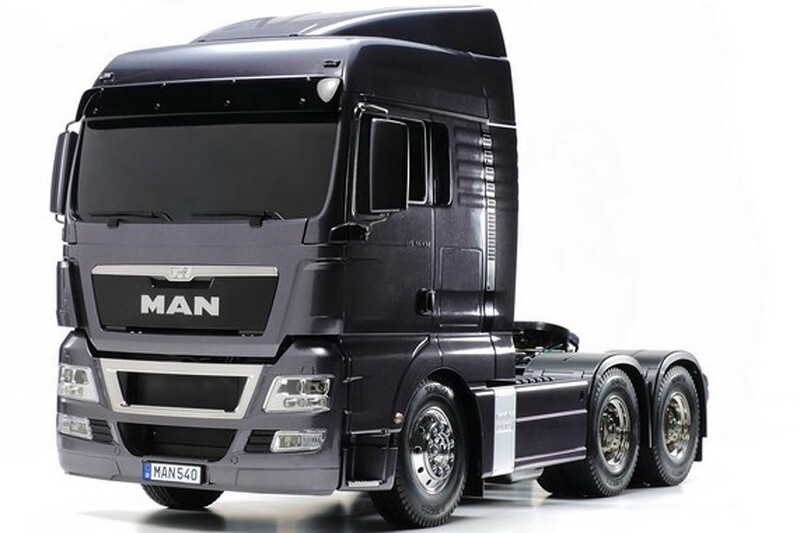 This impressive truck, which made its debut at the 2007 European Transport Road Show in Amsterdam, was the winner of the 2008 Truck of the Year award. 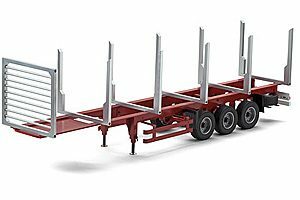 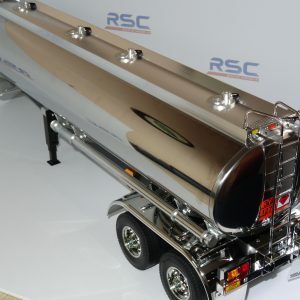 It features two rear axles which assist in the carrying of heavy loads over long distances. 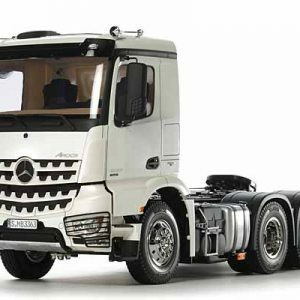 It is powered by an in-line 6 cylinder 12.4 liter turbocharged diesel engine which meets the stringent Euro 5 emissions standards to make it more environmentally friendly. 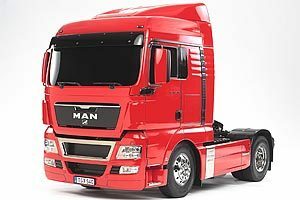 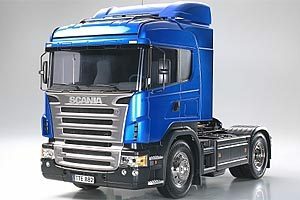 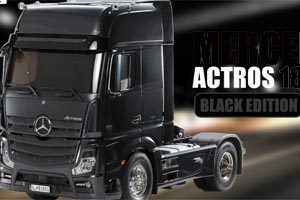 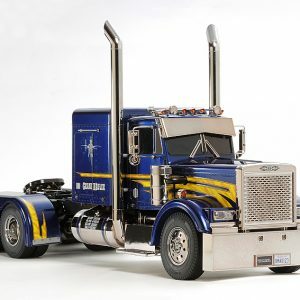 This is a 1/14 R/C assembly model kit of the MAN TGX 26.540 6×4 XLX tractor truck.